Finally, Google.com.sg and doodler Dennis Hwang concluded the winners of the first Doodle 4 Google Singapore. For about nearly 30,000 entry submissions from the different schools (over 400 who participated) in Singapore, James Rotanson, a 17 year old student from Anglo Chinese School (Independent) bagged the D4G: Our Singapore National Winner and Age Group 17-19 titles. 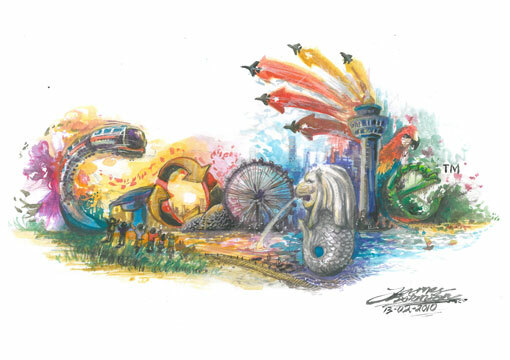 His winning doodle will be seen on Google Singapore's homepage on August 9, 2010 in celebration of Singapore National Day plus a trip to meet Google's doodle team in Mountain View, California (Google Headquarter). Doodle 4 Google is a competition where young people ranges from 4 - 19, divided into age groups, are invited to redesign Google logo in their own style and layout. A colourful Singapore, flowers trees and hi-rise all around. A clean and green Singapore has no litters on the ground. Singapore has a rich culture, living with peace and harmony. A progressive Singapore, having Changi SQ and Esplanade. Our Singapore is “unique” on the Earth. 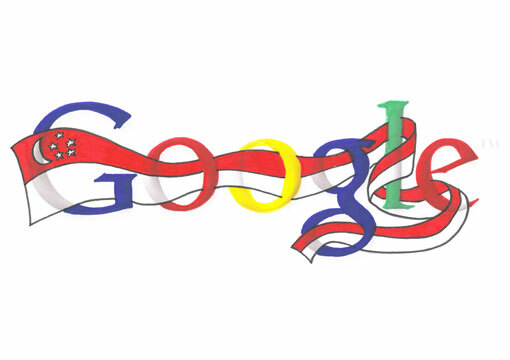 The Singapore flag is interred weaving between the word 'Google'. The crescent moon represents a young nation and the five stars stand for democracy, peace, progress, justice and equality. 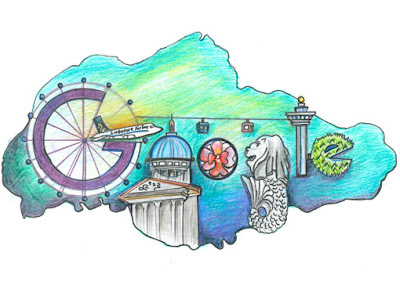 In my doodle, My Singapore is all about the architecture, the national flower, food and tourist attractions such as the Singapore Flyer, Supreme Court, and Changi Airport and others. We should learn to appreciate the art of these things as they represent our country. Singapore is well known for its peace and prosperity. 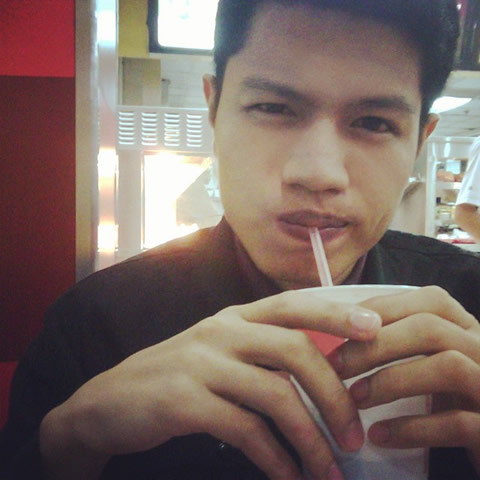 The landmarks I have selected are well known to tourists and are meaningful to our culture. My doodle features Singapore's achievements. The Singapore Flyer which is the world's largest observation wheel. Singapore hosting the first ever "F1 Night Race". Singapore as the financial Centre with a thriving economy. Singapore Airlines, reliable way to fly, first to fly the A380 and a first class airport. A lot of shopping areas. A vibrant night life. An efficient public transport system. Finally, an international City. Singapore is continually building on for a richer Nation. 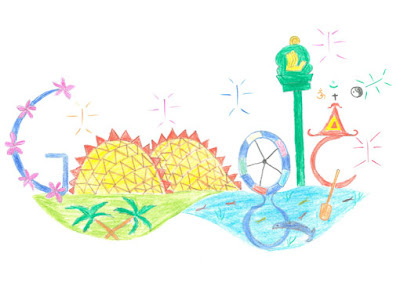 On the surface level, the Google letters depict the various panoramic places of interests in Singapore. 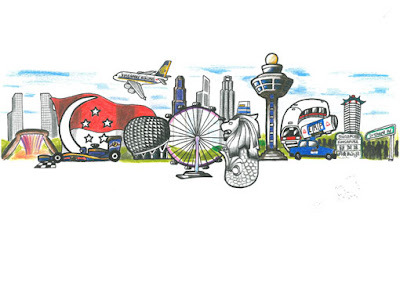 Several of the iconic tourist attractions featured by my illustration encompasses the Merlion, the Singapore Flyer, the Jurong Bird Park, the Esplanade and the Changi Airport. In a more abstract manner, several distinctive values of Singaporeans such as education, punctuality, racial harmony and total defence are also shown respectively by the depiction of the graduation cap, the MRT, the people holding hands together and the 5 jets parading in the air. Thus, I feel that my doodle has expressed the theme of “Our Singapore” effectively.